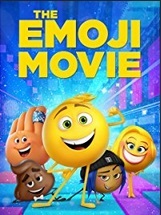 Watch the Emoji Movie for $0.99! Here is another fun movie rental deal available from Amazon Instant Video today! You can watch The Emoji Movie for $0.99!